Recently due to some issue I had to re-install Windows 10 OS on my Lenovo Ideapad laptop. The installation went on well and the system came up. 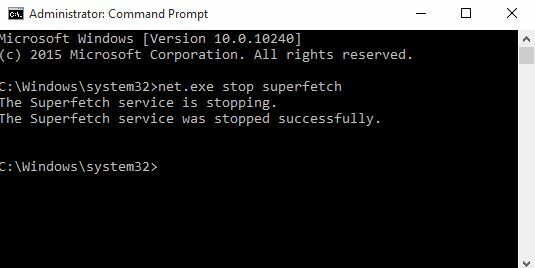 But then observed that booting of the OS was taking a lot of time, and once booted completely the system was quite slow. Upon investigating, found that my system drive is running 100% always ! Surely this can’t be right as I wasn’t running any applications. 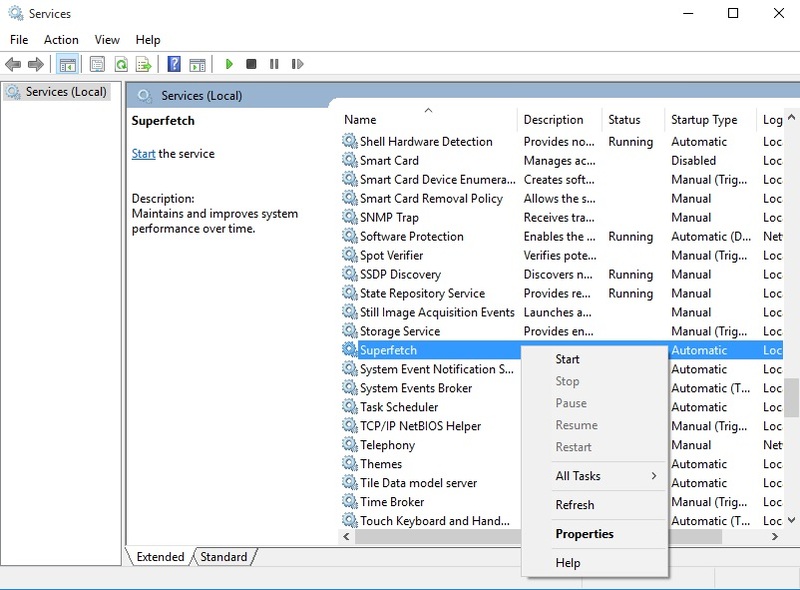 Open Task manager by CTRL+ALT+DEL and select Task Manager. 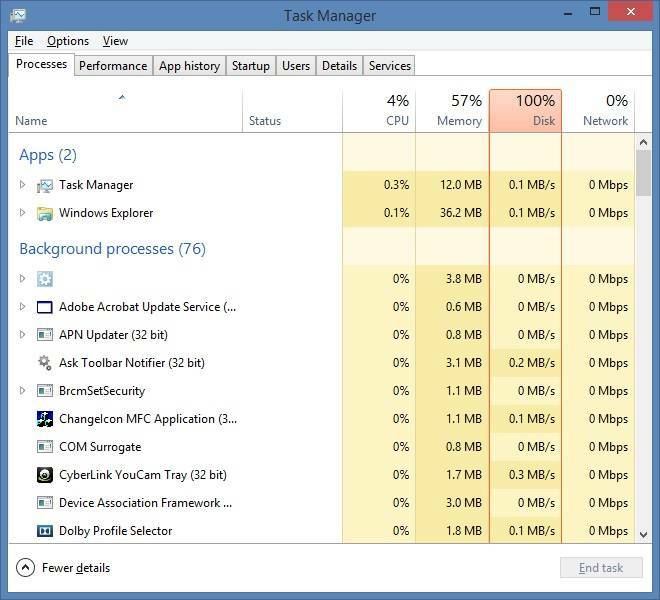 Alternatively, right-click the Taskbar and select Task Manager. Be patient, as it might take some time to open with the drive being slow. In the Processes tab, look for the Disk column. 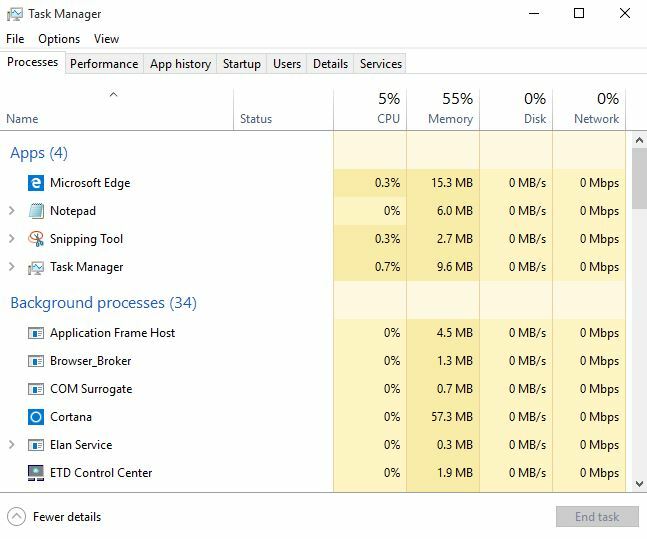 If there is any problem with drive, then the task manager will report it as 100% usage and the disk column tab would be colored red. I also ensure that the system is not infected with virus or malware (as the anti-virus signatures are up-to-date) and of course it is a fresh installation and expected to be clean. Hit windows key and press R (Windows + R). Type services.msc and hit enter to open Services window. Click on Properties and select Disabled under Startup Type. Voila! 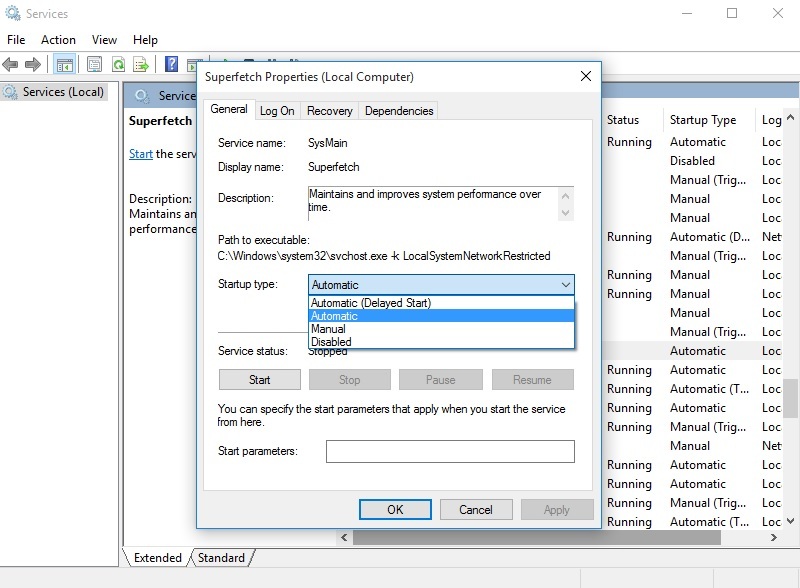 After disabling Superfetch service, the task manager showed the normal disk usage.